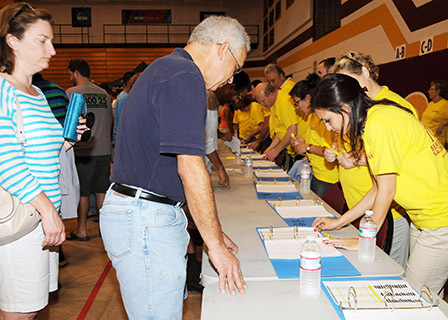 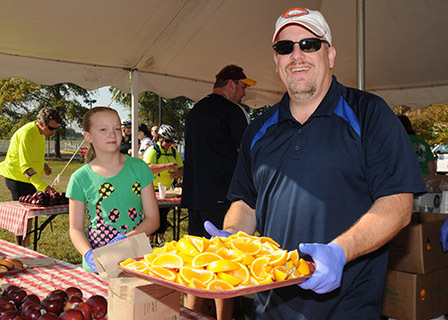 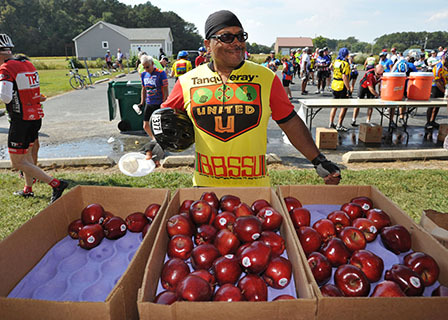 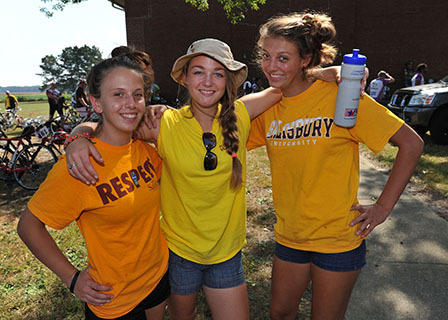 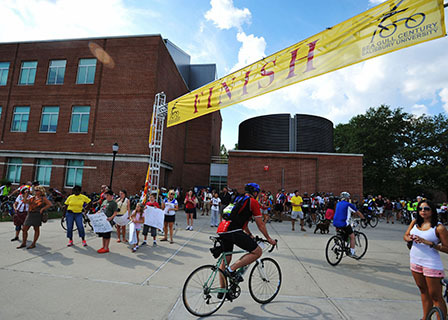 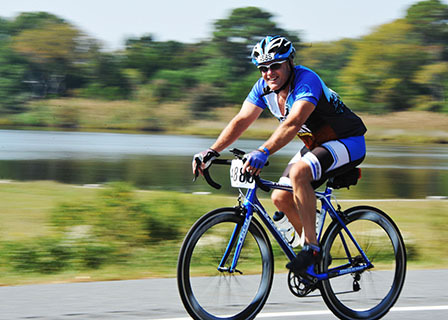 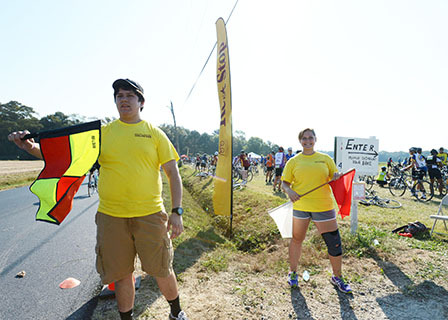 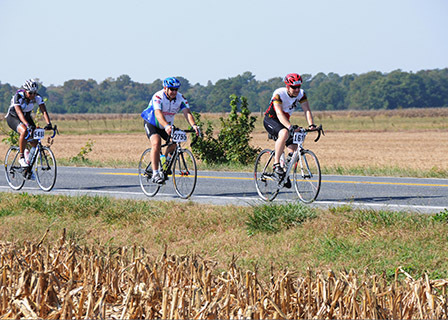 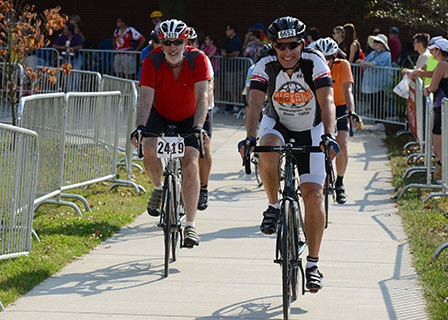 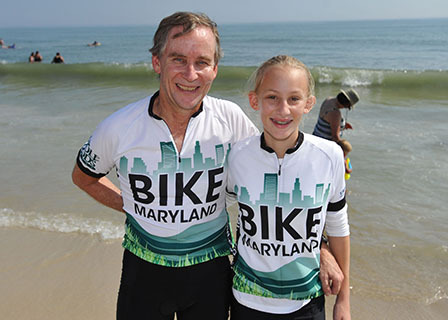 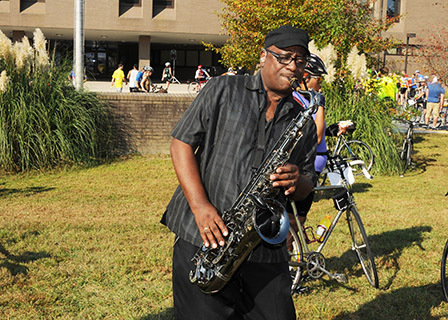 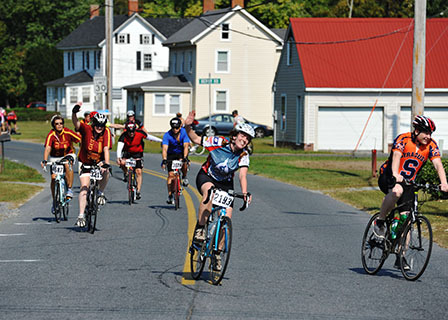 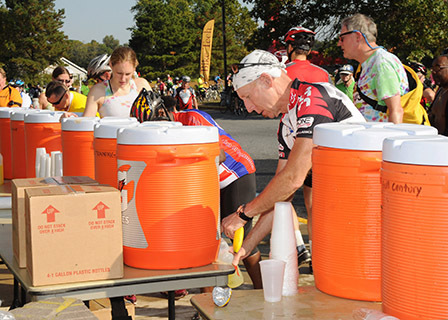 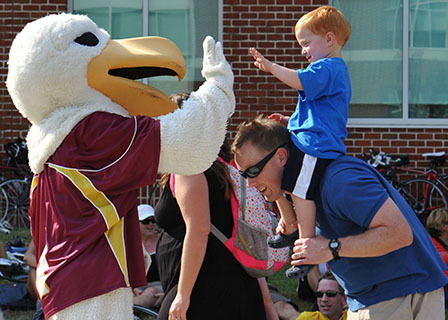 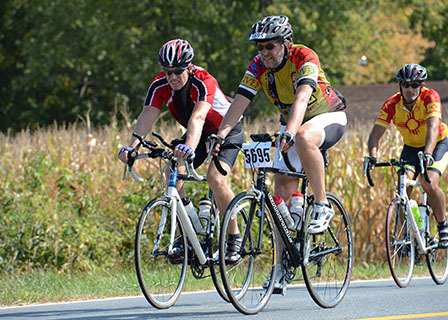 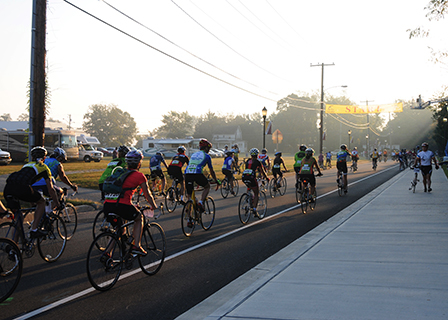 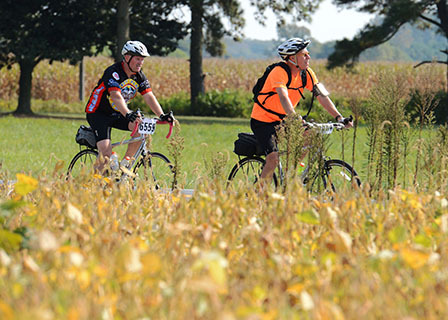 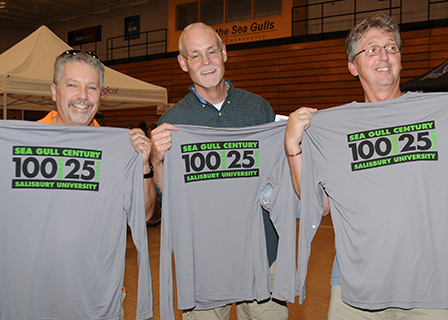 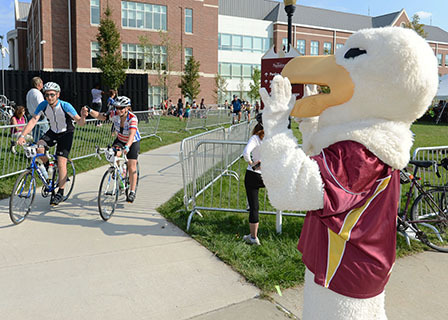 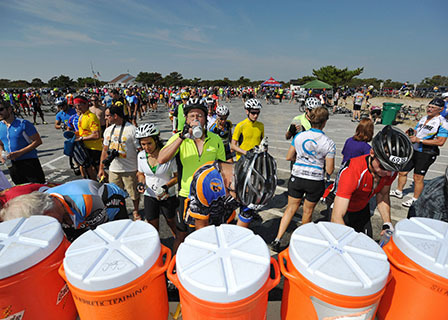 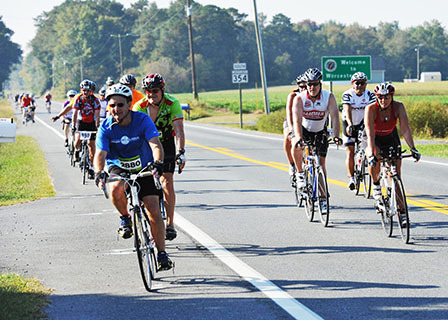 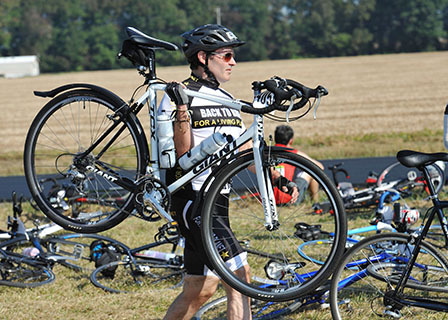 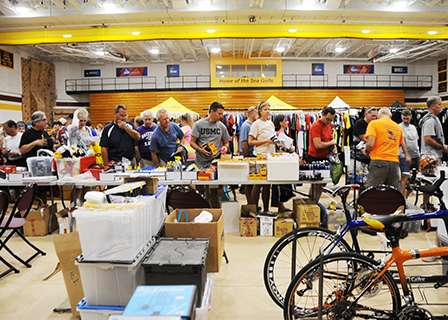 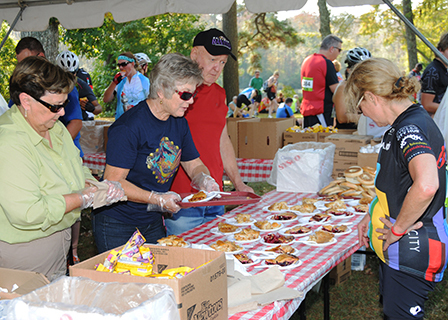 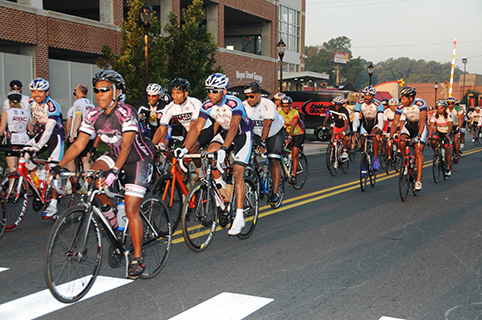 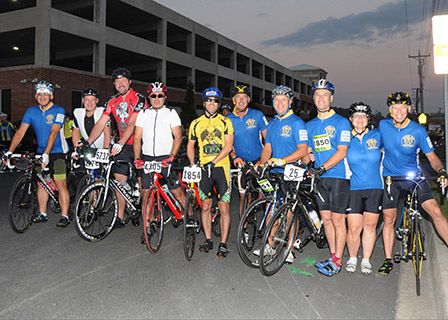 With clear skies and unseasonably warm temperatures, some 7,100 cyclists embarked from Salisbury University for the milestone 25th Sea Gull Century bike ride on Saturday, October 5. 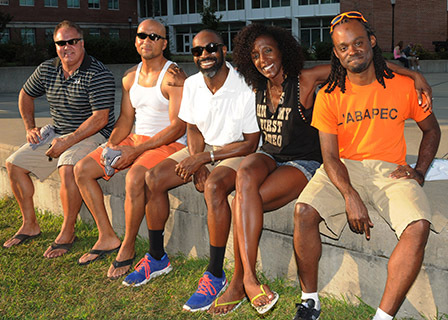 Among them, wearing No. 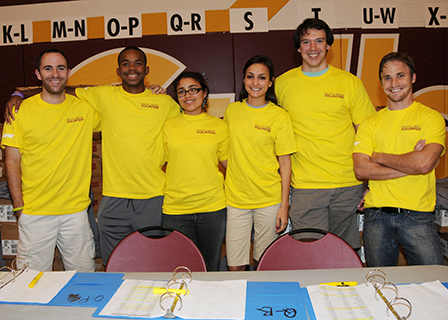 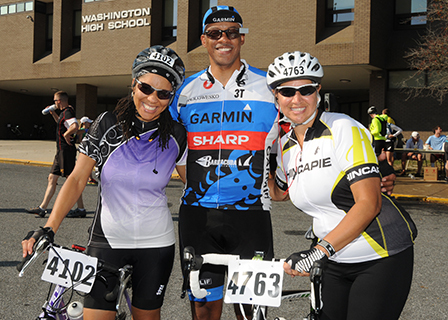 25, was Claire Williams of the Education Specialties Department, who has participated every year. 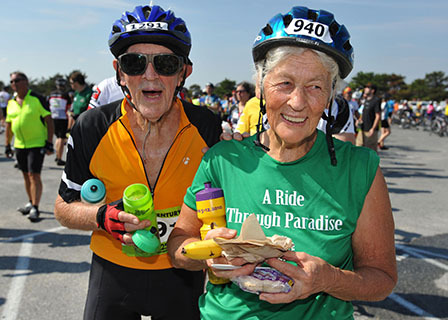 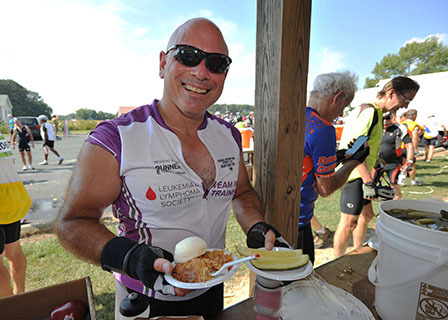 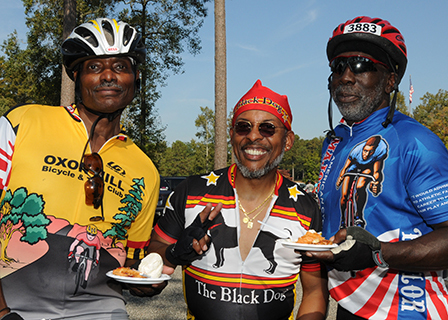 Other registered riders, ranging from age 7 to 88, came from 35 states and Canada. 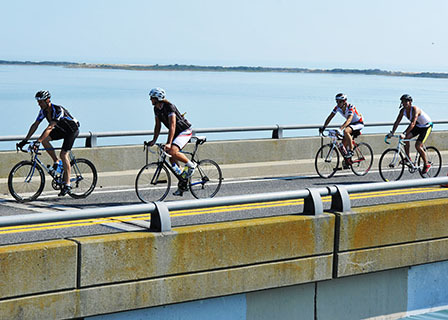 Many return year after year for the hospitality and picturesque scenery. 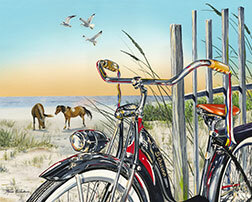 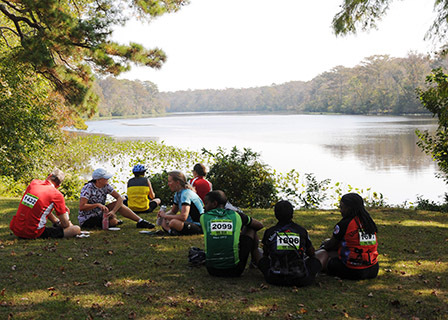 Williams, for example, said she has seen “beautiful blue herons, deer and black squirrels” ― and the Assateague ponies, of course. 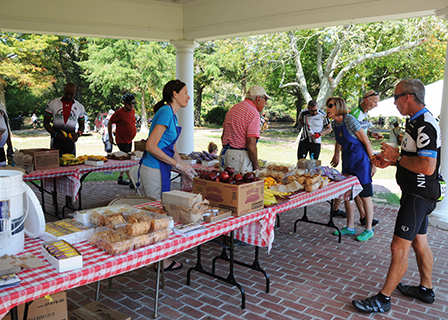 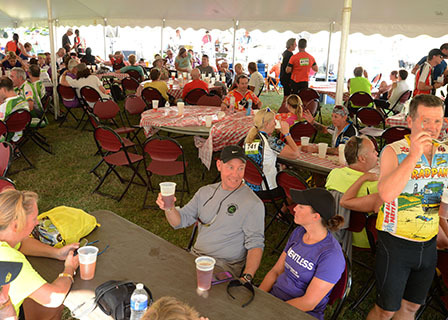 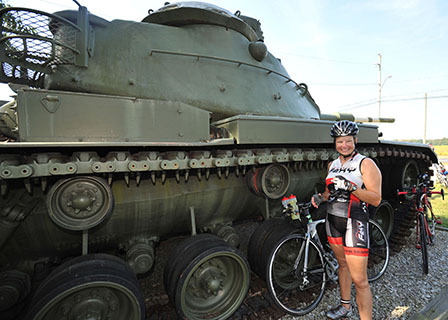 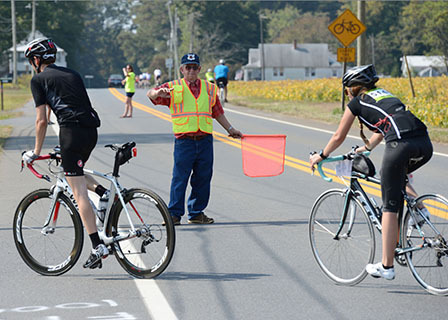 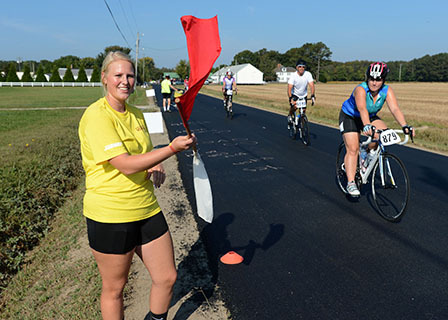 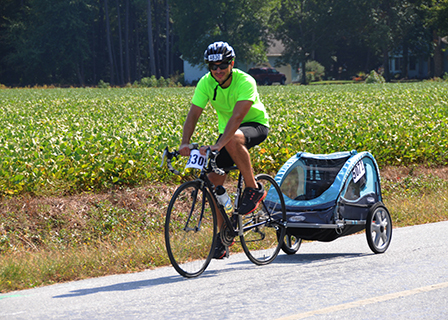 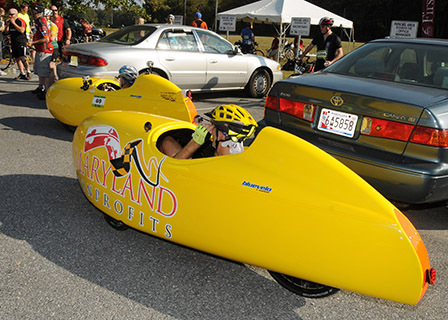 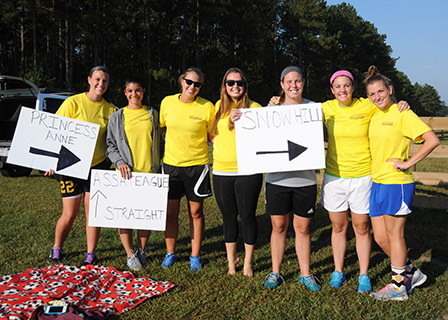 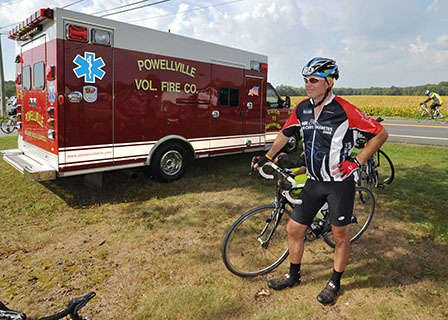 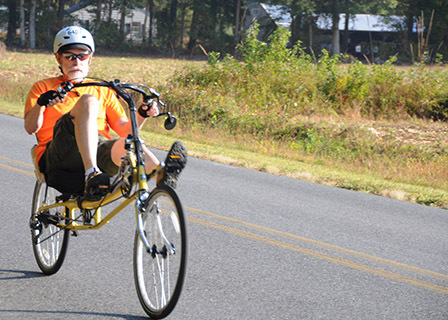 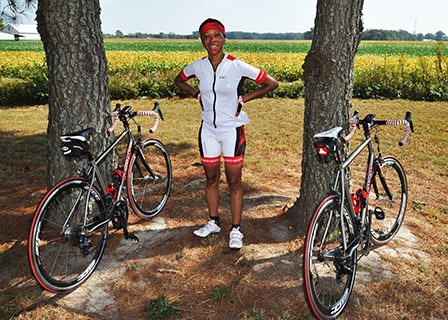 With two 100-mile and one 100-kilometer route options, participants explored quaint Snow Hill, historic Berlin and other towns including Princess Anne and Pocomoke City. 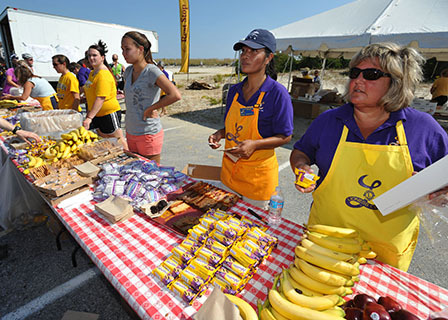 In Salisbury, hotels were booked and restaurants were full throughout the weekend. 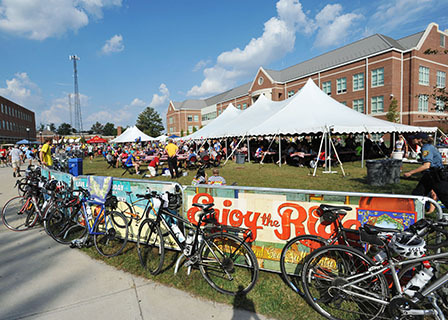 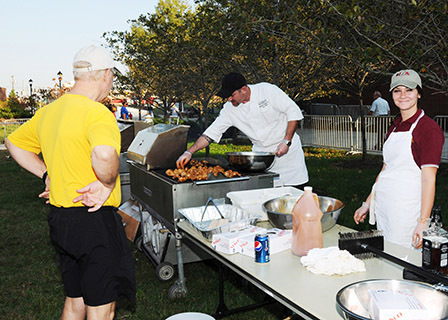 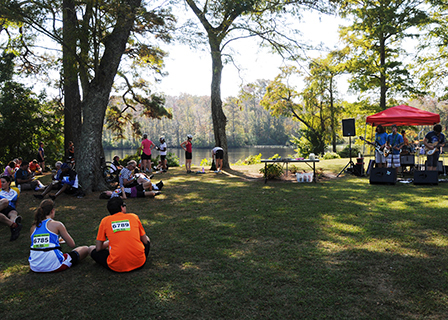 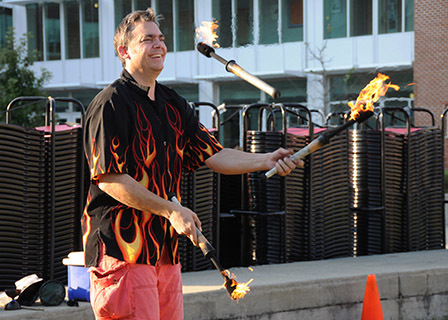 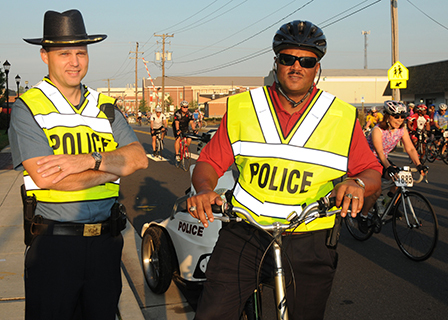 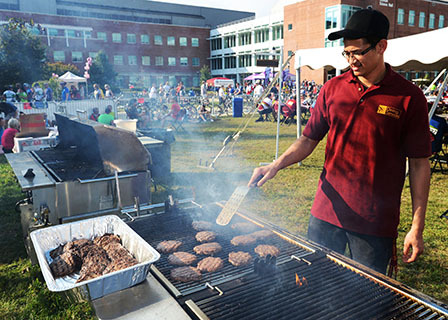 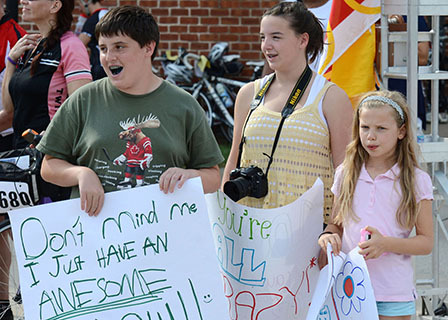 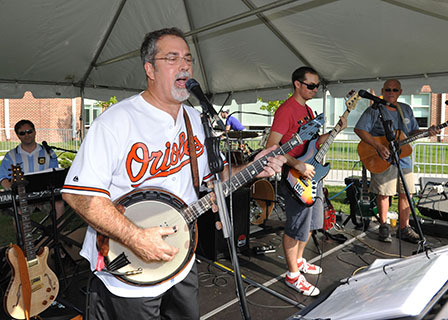 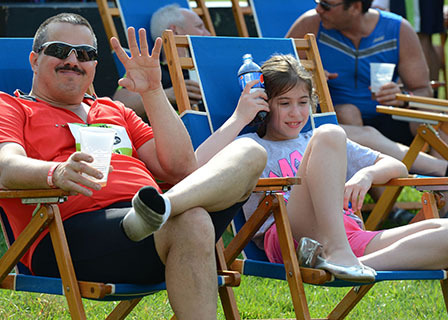 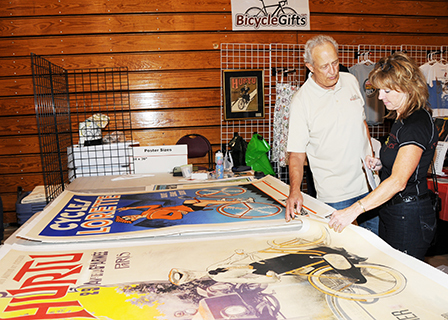 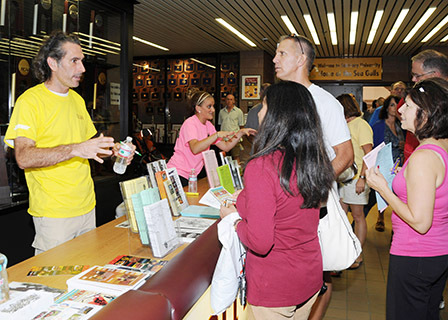 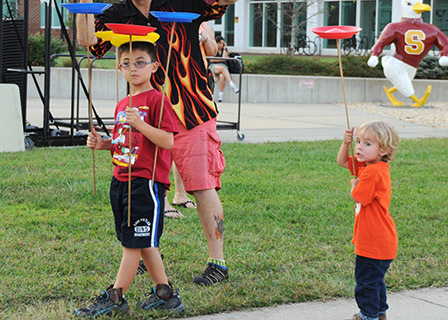 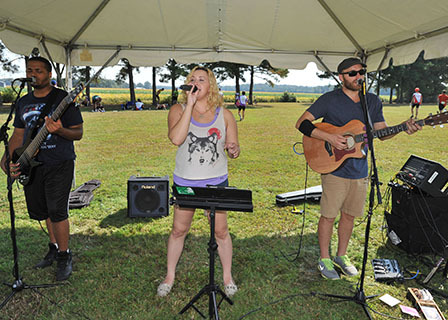 The Century is Wicomico County’s largest one-day tourism event and has an estimated annual economic impact on the Lower Shore of $2.5 million. 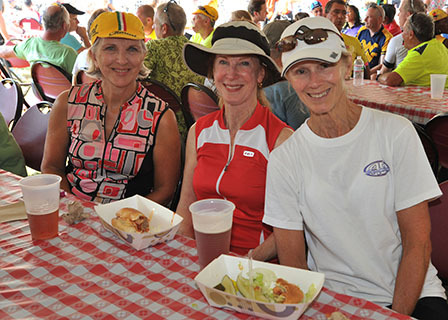 Many pedal for charities and nonprofits, including Women Supporting Women. 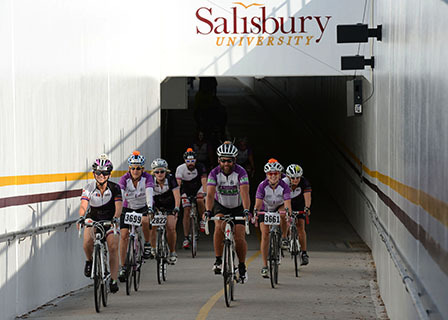 Proceeds also benefit Wicomico County’s Habitat for Humanity, Salisbury Zoo and student scholarships, among others. 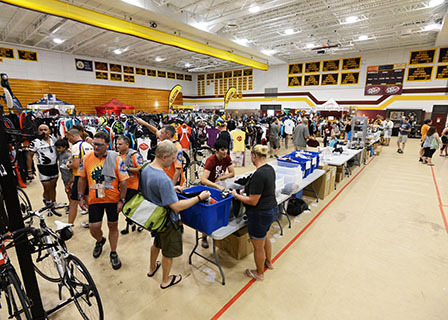 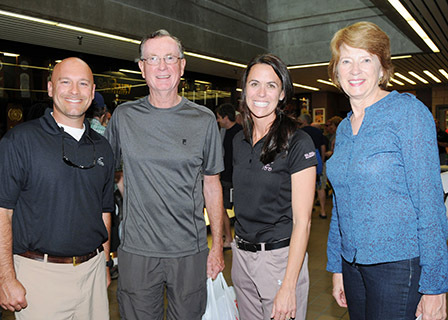 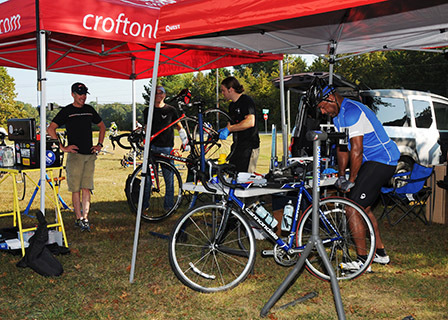 Jennifer Connor of Washington, D.C., was the winner of a $1,500 CompuTrainer Pro indoor simulation bike, raffled off as part of 25th-year activities. 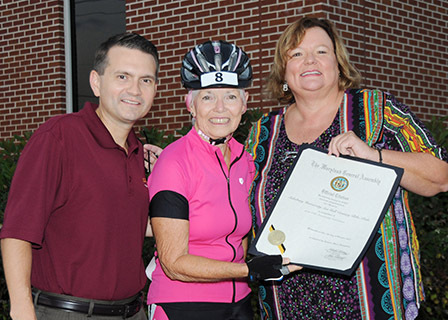 In addition, before embarking on the ride in her signature pink jersey, Maryland Delegate Addie Eckardt presented SU President Janet Dudley-Eshbach with a citation commemorating the Century’s longstanding contributions.